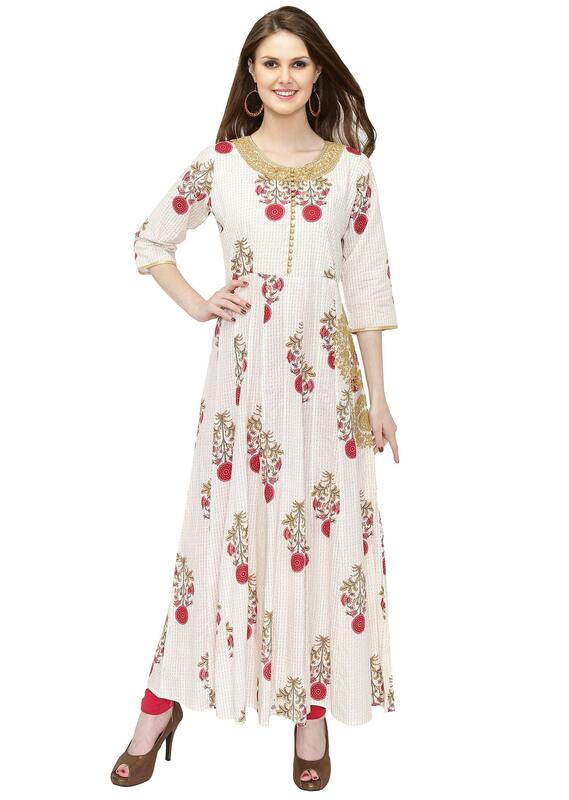 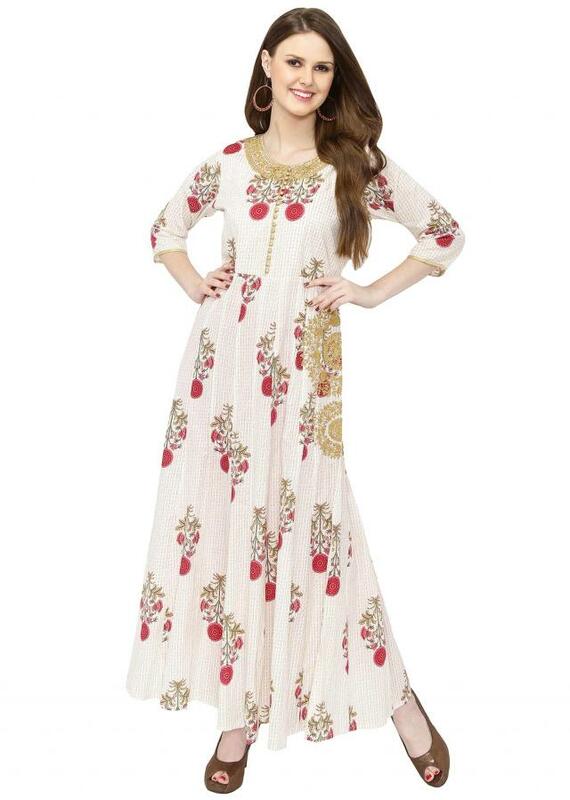 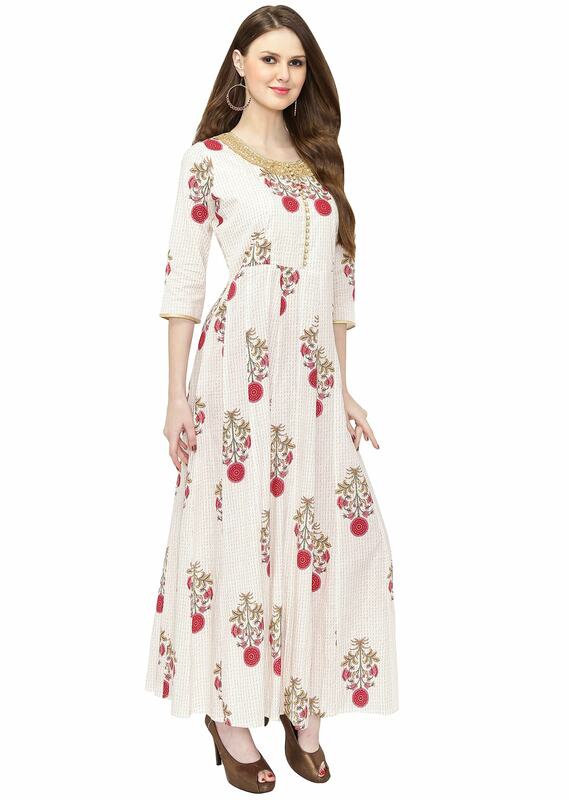 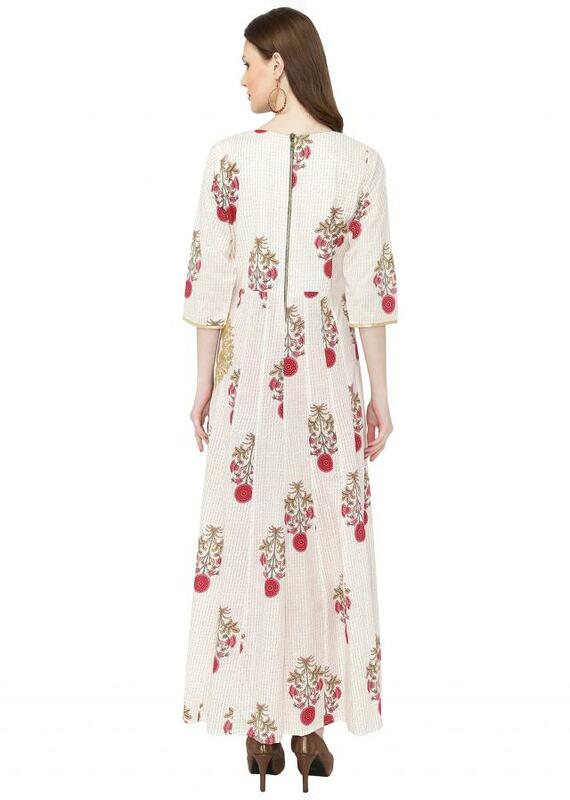 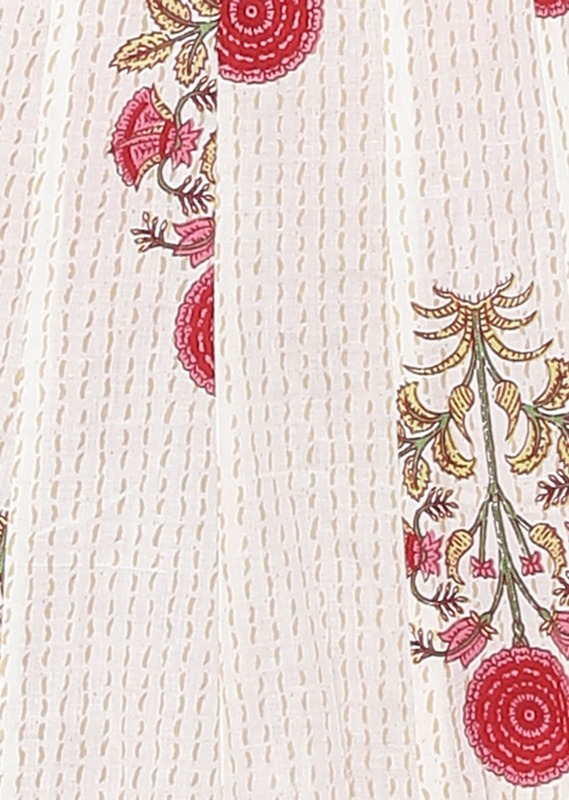 This cream colored anarkali dress in georgette comes with vibrant floral prints. 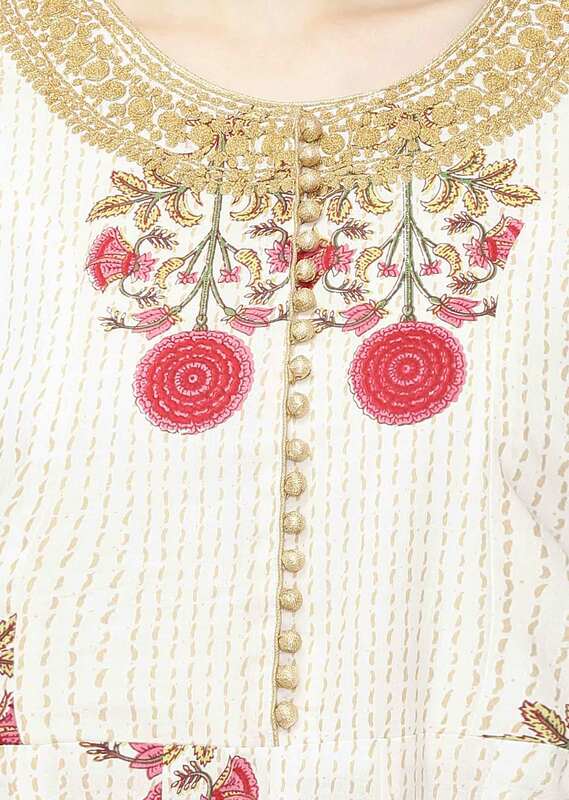 The zari butti work adds a touch of grandeur to the look. 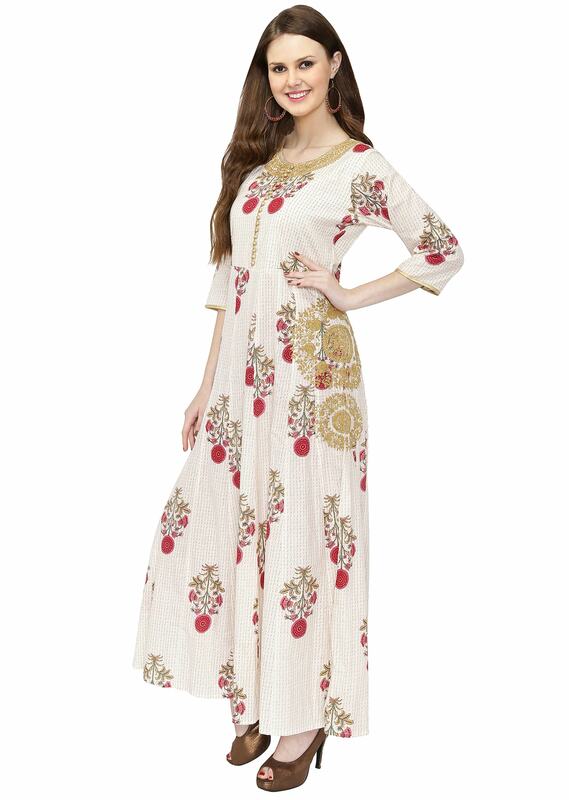 The round neckline is embellished with zari and the front placket is adorned with golden buttons. The dress has an easy-to-use zipper closure on the back.